Unless you’ve been living under a rock (pun intended) you’ve no doubt heard about crystals being used for all sorts of self care; we even use a few in some of our products. 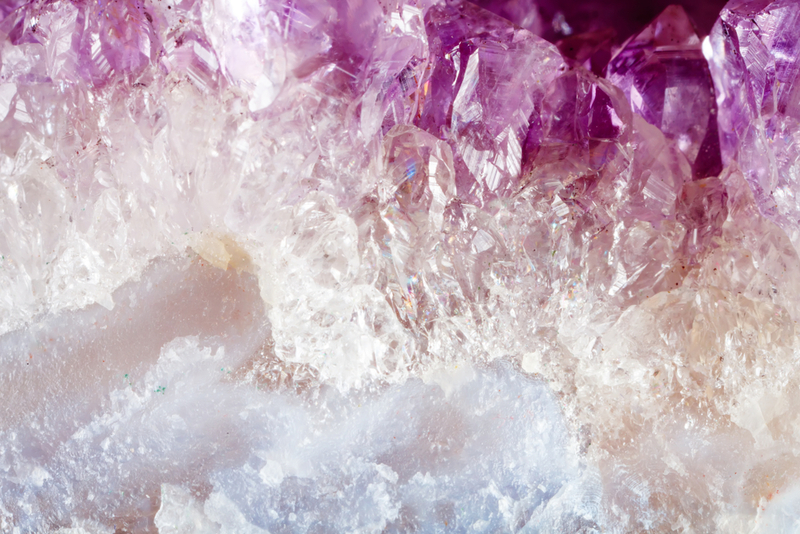 Whether or not you buy into the power of crystals, we’ve compiled a list of the most popular to help you learn a little bit more about your favorites, and decide if incorporating crystals into your me time might be worth a try. If you’re looking to ease tension and get a restful night’s sleep, try amethyst. It calms and balances, like a spa day in a stone. It’s said to help you manifest your heart’s desires and bring your dreams to life. Amethyst is also known as the “Traveler’s Stone” and provides extra protection when you’re away from home. Try it: Slip a piece under your pillow at night or keep an eye out for exclusive Posh products containing amethyst. Need closure? Try aquamarine. It helps you navigate major life changes and wash away stress and fear, leaving you feeling peaceful and calm. It also helps you avoid negative behavioral patterns and have an easy-going attitude by connecting you to your higher consciousness. Try it: Experts say it’s best to keep aquamarine close to the skin, holding it when you need closure. Also called the “Gambler’s Stone,” aventurine amplifies luck, prosperity, and abundance. It brings good fortune and new opportunities, helping increase confidence and self-esteem. If you need help moving out of your comfort zone, this stone might be your winning card. Try it: Slip a piece in your pocket or wear it in a necklace where it will be close to your heart and throat chakras. The ultimate protection stone, black tourmaline guards against negative energy and helps you feel grounded. Traditionally used by shamans, it acts like an absorbent sponge to soak up bad attitude, creating more room for radiance, light, positivity, and abundance with less stress and tension. Try it: You can place this stone just about anywhere you want to keep free of negativity; in your house, at the office, in the car, etc. If you’re constantly self-sabotoging your goals, carnelian helps you stay motivated, inspired, and confident so you can get over that negative and addictive behavior that’s holding you back. It promotes perseverance, boosts energy, and helps you feel joy, so you can be the life of the party. Carnelian is also good for helping you break through creative blocks. Try it: Carnelian jewelry is gorgeous, or try placing some in a south-facing area of your home. Looking for a little financial luck? Also known as the money stone or the “Merchant’s Stone,” citrine attracts abundance and wealth by helping you manifest your goals. While most crystals absorb negativity, citrine clears negative energy, making room for happiness and light. It empowers its owner with confidence. Try it: Some experts say to use citrine in the bath (we love that idea). Just place your stone in the tub with some magnesium salts like Muscle Through™ All Mixd Up, which also help rid toxins, and soak for 20 minutes. Diamond promotes overall balance, opening chakras and letting energy flow through. It stimulates your higher conscious for increased clarity and focus. Diamond imparts strength and courage, helping you see your own self-worth. It also enhances the power of other crystals. Try it: Wearing diamonds is the most popular way to use this stone, but sometimes we put it in Posh products too. Keep an eye out! The stone of positivity, fluorite wards off negative energy and calms chaos. It helps you meditate by quieting the mind and helping you focus. This cleansing stone is also good for turning anxiety into tranquility, promoting an overall sense of balance. Try it: Use it while meditating or place it in an area where you need to focus, like your office. Garnet helps clear energy blockages that are preventing you from living your best life. It energizes and encourages you to be active, removing inhibitions and taboos. It opens your mind to think freely and creatively, promoting communication and outward expression. Try it: The easiest way to try out the benefits of garnet is by wearing it as jewelry. Known for its grounding and healing abilities, hematite brings you back down to earth. It helps you get out of your head and is great for people who always over analyze. Hematite helps you make the most of every moment and live in the now. It lets you “just be” by calming, soothing, and cleansing to rid you of stress and anxiety. Try it: Crystal experts say to meditate while holding it in your hands or lay down and put it on your abdomen to help you feel grounded. Noble jade is said to help you see who you’re truly meant to be. Its serene and calming energy helps you find self-acceptance and inner calm. It also promotes prosperity and good luck. Jade can help filter toxins from the body to purify and detoxify for less stress and tension. A heart chakra stone, it can help you express love, accept truth, and find meaning in your dreams. Try it: Jade rollers are all the rage right now for face. Use it to massage skin and distribute your face serum—we love a jade roller with Impress Me™ Face Serum. Mystical kyanite is said to help the mind create pathways where none previously existed, aiding in emotional development and meditation. This unique crystal doesn’t accumulate negative energy; instead it soothes the nerves and helps during transitional times in your life. It’s also great for soothing the area around the third eye chakra, like the temples, forehead, and eyes. Try it: Mediate while holding kyanite or use a piece to massage your eye area (try paring it with a luxe eye crème like Defiant™ Uplifting Eye Crème). Ready to turn over a new leaf? Malachite clears and activates all chakras during times of change. Referred to as “the stone of transformation,” it helps heal your emotional heart and cleanses to promote openness and love. It’s great for times of personal growth and helps improve your mood and energy level. Try it: Envy This™ Face Mask with malachite helps transform tired, stressed skin. Ready to let go of old habits that no longer serve you? Grounding obsidian is just the thing. It promotes change, serenity, and clarity by prompting you to look within. It brings your flaws and weaknesses to light, including emotional distress that has long been ignored or forgotten, making it easier to face your demons and find self-acceptance. By absorbing toxic energy, obsidian helps cut stress and anxiety from your life. Try it: Don’t call us crazy, but crystal experts say that talking to your obsidian when you set intentions is the best way to use it. Also known as olivine, peridot promotes abundance and confidence by cleansing body and soul of toxic emotions like resentment, stress, spite, and jealousy. It’s said to help you find your sense of purpose and promotes radiant energy and light. Try it: Hot & Gold™ Firming Face Mask combines peridot with colloidal gold for brighter, firmer skin. 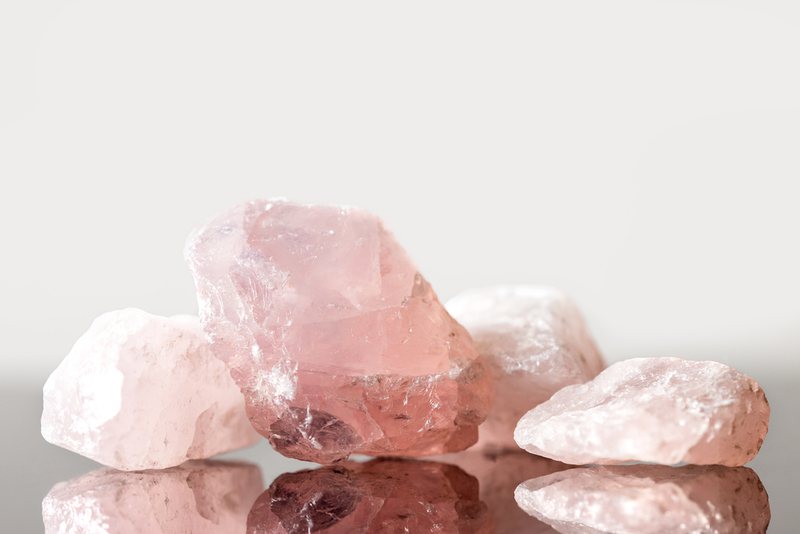 Also known as the love stone, rose quartz invites all forms of love: romantic, self-love, unconditional, and platonic. Use it when you need deep emotional healing and release. It encourages you to forgive yourself and others, getting rid of negativity, and supports your heart chakra. Try it: Keep two pieces by your bedside table to bring more love into your life (or keep an eye out for Posh products with rose quartz; we love it and use it in exclusives from time to time). Said to be the master healing crystal, selenite promotes intuition and inner peace by cleansing, purifying, and brightening everything around it. Selenite helps you stay above feelings of anger, anxiety, fear, and grief so you can focus on living up to your fullest potential. 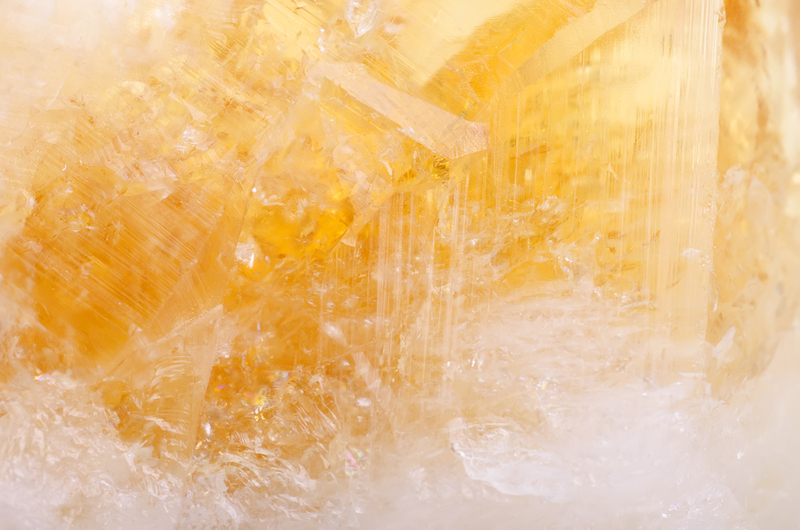 Try it: Use selenite to clear the energy of a room, try placing it near a window. Considered the bridge between heaven and earth by Native Americans, turquoise is said to help interpret dreams, ward off evil, and strengthen bonds of love and friendship. It also strengthens energy meridians in the body to clear blockages and promote an all-around sense of well being. Try it: wearing turquoise jewelry is the most popular way to use this stone. What crystals are your favorites? How do you like to incorporate them into your self-care rituals? We’d love to hear your tips!